Unanimously, they will tell you that they focus on the process and not the outcome. 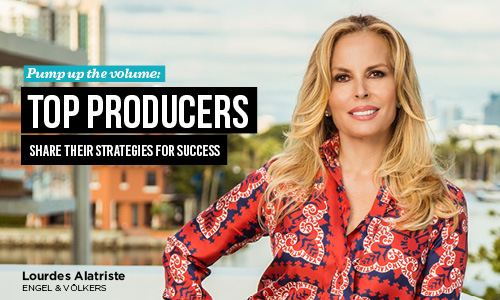 Miami Agent magazine spoke with five local top producing agents about their go-to strategies and advice for newcomers with similarly ambitious aspirations. A top producer since she entered the industry in 2010, Lourdes Alatriste is a partner and private office advisor with Engel & Völkers. Private office advisors are an elite group with the global brokerage firm that represent the brand in more than 30 countries. Alatriste is among fewer than 100 private office advisors in the Americas. Each year, she outdoes herself in volume and 2018 proved to be her best year ever. 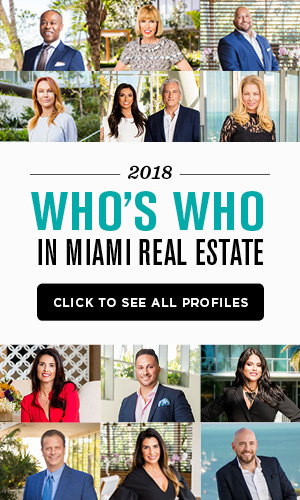 Specializing in Miami’s luxury market, Alatriste has gathered an international network of ultra-high net worth clients, including CEOs, celebrities, professional athletes and government officials. In marketing listings, she starts by checking off the boxes: Who can afford this property? Why would they be looking for a home in Miami? What type of lifestyle does this property suit? It worked the first time she sought a buyer for a luxury listing, and it continues to be useful today. The first high-end listing Alatriste earned was in 2011, for a house on North Bay Road in Miami Beach. “Since I was a new company, I just asked for 5 minutes of the seller’s time,” she said. “I told them, ‘I can sit here and tell you how great I am, or you can just give me the opportunity, give me six months and I’ll sell it for you.’” They agreed and she delivered on her promise, selling the home to an NBA player, in “the worst market,” for upwards of $10 million, the highest price paid for a home on North Bay Road at the time. Vividly, she recalls how the deal came together. “I was new, nobody was buying, and everybody was running scared,” she said. Rather than complain, she got creative, researching different sectors of wealthy buyers: newly recruited NBA players moving to Florida, actors filming movies in the area, big corporations relocating… She would read about a celebrity couple divorcing and contact the lawyer, because houses need to be sold in a divorce. “I don’t think anybody else was doing what I was at the time,” she said. She also took note of a shift in the design of Miami homes, from a contemporary Mediterranean look to a modern style with high ceilings and white walls — suitable, she thought, for art dealers wanting to show off their works or tall people, like NBA players, who need high ceilings to live comfortably. Of course, pursuing wealthy and discerning clients helped Alatriste carve out a niche, too. After that first sale, the referrals started coming in. “To be 100 percent successful, you have to put your work at another level and love what you do,” she said. Every day, she wakes up by 7 a.m., exercises for at least 30 minutes, reads about the market and goes out on the town to talk to people, to learn about properties before anyone else. “You’d be surprised where you get information, at the beauty parlor, from the person you would least expect it—the housekeepers,” she said. Alatriste keeps a chart of all the buyers, sellers and homes she is working on and tries to make matches, updating it as changes occur. “The majority of properties I have, I really love and if not, I make myself love them,” she said. “I find something to love about them or ask the owners, during the interview for the listing, why they purchased it, what they liked about it and I use that as my selling points.” Once the deal is done, she keeps in touch by sending an occasional email, gift or birthday greeting. Every morning Jo-Ann Forster asks herself, “What activities do I need to do today to be successful?” She comes up with three achievable goals for the day, a strategy she learned from the developer of Evernote, an app for organizing information. “My goal is to always work smarter,” said Forster, senior vice president and global real estate agent with One Sotheby’s International Realty. Her team did 87 transactions in 2018—one every four days. Forster became a top producer three to five years after earning her license. Frequently, she gives motivational talks to inspire sales professionals with valuable lessons she has learned in a career that spans more than three decades. “Success takes sacrifice, a willingness to get uncomfortable and fail,” she said. “Sit in the bullpen with top producers, go to lunch with them, listen and try to emulate them.” Pay attention. It could be their patience, listening skills or body language that contributes to their success. Top producer Jimmy Branham did just that, after working for a couple years in development sales. Last year, he and his team sold 60 homes. With 13 years of experience in the industry, he has been a top producer for the past five years. Branham took notice of his team’s top producer’s habits: showing up early and following systems he put into place, from reaching out to past and current clients daily, to regularly coming up with different ways to add value to transactions — knowing the market, what’s coming down the line. “It really stood out to me, emulating that, picking it up,” he said. Putting the customer first is also paramount to success. “We always say yes,” he said. “The most important thing for us is to take care of our customers, to have them happy at the end of the day. If you do that, more and more transactions will flow.” He cautions: Don’t be afraid of losing a deal, if it gains a customer, because those connections will multiply down the line. In real estate since 1973, Christopher Zoller has learned that it’s easier to do business with people you know. 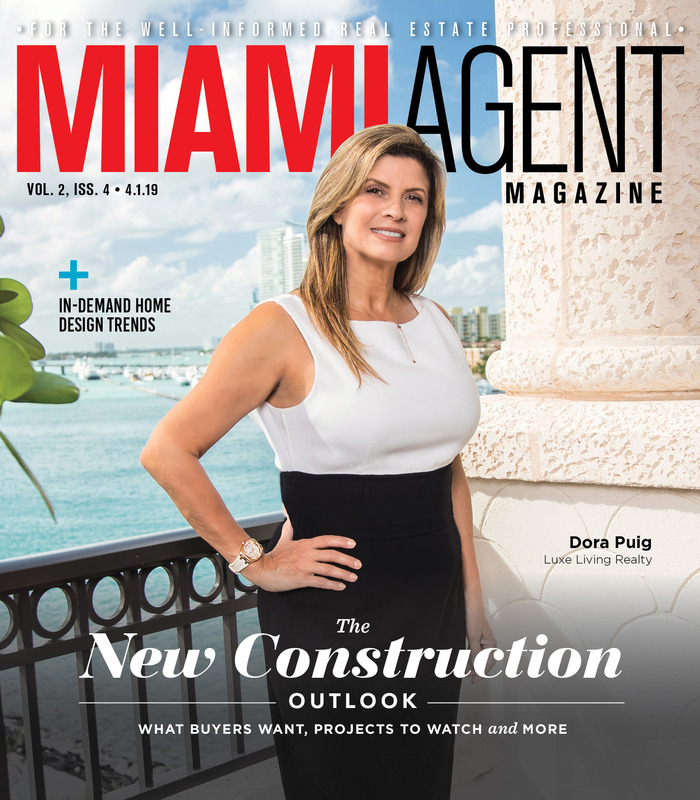 A broker associate with EWM Realty International Inc., he came to Miami in 1988 and two years later, became a top producer here. A past chairman of the Miami Association of Realtors and a director of the National Association of Realtors, he said being involved in the local chamber of commerce and private groups like the Master Brokers Forum, which he founded with fellow top producers after Hurricane Andrew, has provided an opportunity for him to excel in the business. Zoller appreciated how the real estate community came together after the hurricane, networking with each other to get listings repaired and back on the market quickly and finding temporary homes for clients. Hazel Goldman shows clients properties for the purpose of educating them first, not just in hopes they buy something. She became a top producer about three to five years into her career. Forty years later, she is still going strong: 2018 was her best year. When it comes down to it, maintaining a high level of production each year for these top producers is all about making clients happy.